Anglo-Dutch firm Unilever has come under fire after an advertisement for South Africa-based Flora margarine (owned by Unilever) appears to equate having a child come out as gay with being shot in the heart. 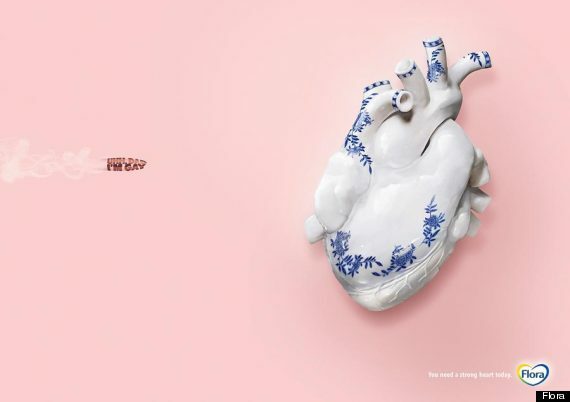 The advertisement, reportedly made by an agency in Johannesburg, depicts a bullet with the words “Uhh Dad I’m Gay” propelled at a heart made of china, with the phrase “You Need A Strong Heart Today” as the tagline. The advertisement is particularly shocking given that Unilever owns Ben & Jerry’s, a company widely known to support marriage equality and rights for LGBT individuals. Unilever also, while not apologizing, recognized the inappropriate nature of the advertisement via the company’s Twitter.